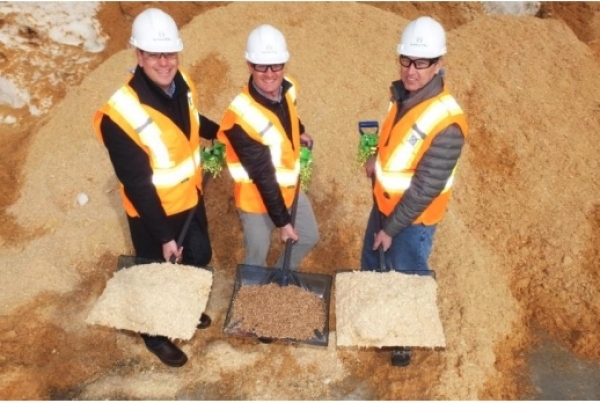 March 13, 2018 - Pinnacle and West Fraser have begun the conversion of an existing particle board facility in Smithers, B.C., to a wood pellet production facility. The project under the Smithers Pellet Limited Partnership will be co-owned by West Fraser Timber Co. (30 per cent) and Pinnacle (70 per cent). Located in northwestern B.C. approximately halfway between Prince George and Prince Rupert, the Smithers facility is connected by direct rail to Pinnacle’s Westview Port Terminal in Prince Rupert. The plant will have an annual capacity of 125,000 metric tonnes, with production expected to begin in the third quarter of 2018. Both fibre supply and customer off-take agreements are in place under long-term agreements, the company reports. Pinnacle currently operates six industrial wood pellet production facilities and a port terminal in B.C., and, in addition to the Smithers operation, has a new production facility under construction in Entwistle, Alta.